Irish and Welsh legends contain numerous instances of towers on islands, the 'Tower of Bre? ', the tower of Arianrhod, the tower under which the head of Bran is buried. 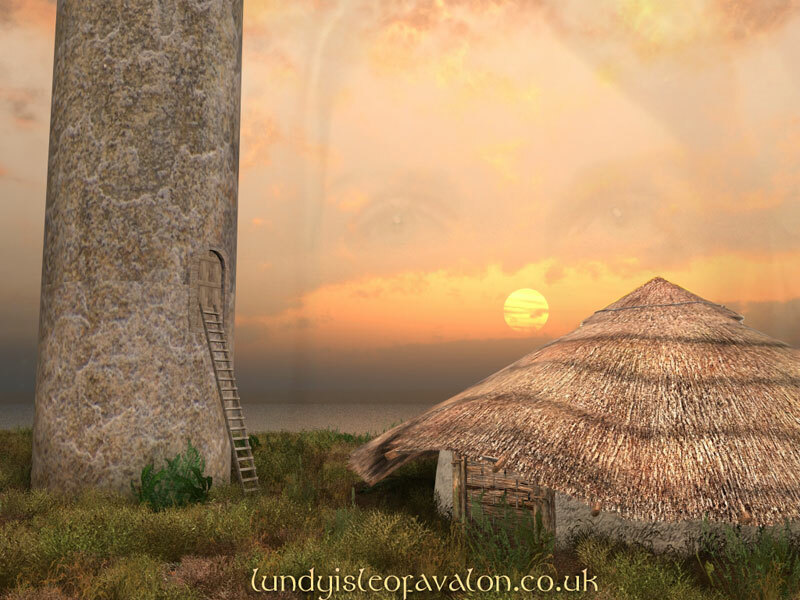 Is there any evidence on Lundy for the existence of such a tower on Lundy? 'Chanter writes of other round towers on Lundy and conjectures they were introduced from Ireland by the Mariscos. Loyd however,considers this structure to be older....Chanter writes as if it stood several feet tall though it was probably robbed for stone.' The Isle of Lundy. On the Ordnance Survey map, just south of the three- quarter wall and, significantly, above Knight Templar Rock, are the remains of a round stone tower base. The concept of an island with a tower at each corner seems much easier to grasp if you replace the word ' tower' with 'lighthouse'.